Technology has made starting a new business much easier than it was years ago. Nowadays, you can just use software programs that can already manage your employees’ payroll. Just years ago, it would have required people to perform this sole task. Let us not forget the fact that these types of programs are very inexpensive! You can even receive payments anywhere and any time with an online payment system like Xoom and Paypal. If you need help in any of your projects, you can just run off to Fiverr and Upwork and you will find contractors than can provide you with what you need. Yes, it is that efficient! It is not advisable for start-up owners like you to rely on outside investors to fund your idea until you have built a solid track record. What most entrepreneurs do is to fund their own projects which means you need to sock away whatever you can and as much as you can starting from now on. It would be virtually impossible for you to find someone who will want to invest on your company unless you have already put in at least $200,000 of your own sweat and equity. If you have seen the TV series Shark Tank, you will notice that the person who gets the funding is the one who is making revenues or has customers lining up before the product. 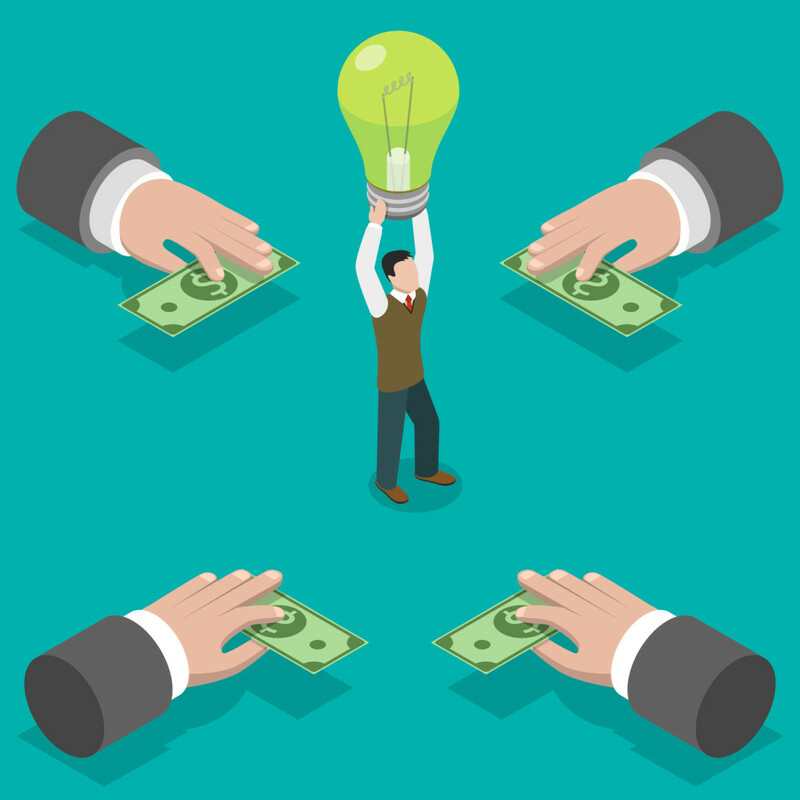 If you insist, you can pitch your ideas on crowdfunding sites like Indiegogo and Kickstarter. Most investors would ask for donations to preorder the product/s they would want to create. However, it is not all too easy. Crowdfunding would require you more or less to be a social media savvy. It is because you need to have a strong social media presence and you should have fair amount of followers, typically around 6,000, to be able to make your campaign successful. If this campaign is dedicated for Coke or Pepsi, the social media guy that runs the campaign can do it in his sleep and it will still be successful. But, if you have no LinkedIn presence then you might as well scratch that idea. For most start-up business owners, it would take them at least a year and a half to generate cash. You would need that time allowance to adjust your family life with your upcoming business and you need to do it slowly. You should also have at least 18 WHOLE months of dry sand to survive. Most financial advisers would tell you to put aside two or three years worth of living expenses. This will help take out financial stress which could very much force you to close your shop prematurely. It is not an isolated case wherein just saving up for a couple thousand dollars would last you forever. The answer to this is to look for other sources of income. Take a freelance consulting work or a part time job that could help pay your monthly dues. You can even rent out your spare room on Airbnb! Overheads can easily overwhelm small businesses. However, many entrepreneurs hinder their potential for revenue growth by performing all manner of tasks in order to save a few dollars. This situation can be resolved through strategic outsourcing. 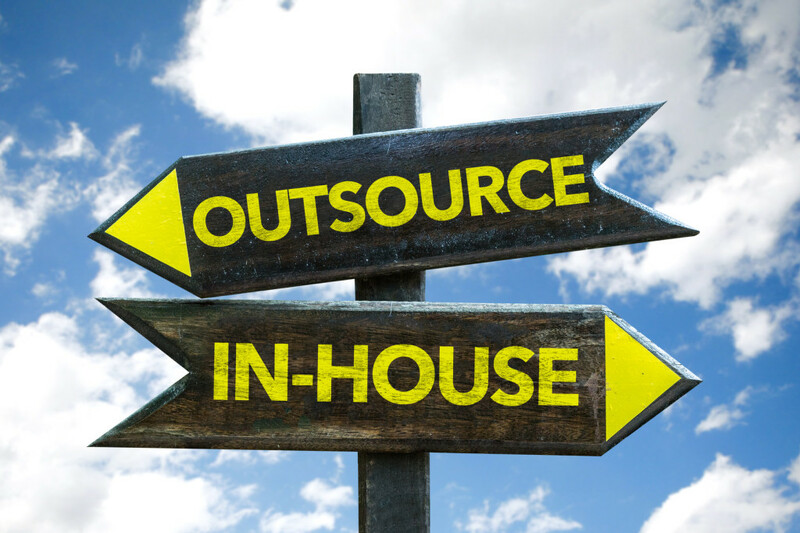 Many business owners avoid outsourcing because of the additional costs involved. But they fail to consider the value of the opportunities and time wasted when they are performing energy-draining tasks that would be best left to other people. Quite simply, they end up saving money but not making money. This is an obvious point, but it is extremely important to highlight it. Accounting is time consuming and also increasingly specialized, particularly in states with high levels of regulation like California. Accountants have an intimate knowledge of the rules and can save you from getting into trouble. They are extremely efficient because they perform the tasks involved every day of their lives. Rule number one: get a competent bookkeeper for your daily accounting tasks, a first-rate payroll company to manage your paychecks and an excellent CPA to handle your tax accounting. Apart from the accounting functions in your business, you also need to relate personally with your local bank. Many banks nowadays have staff who are specialists in small-businesses and who can assist you with issues such as cash flow, grants, loans and much more. In order to run a business, you require money and your small business banker can help you in this. This includes such elements like letterhead, website art and logos and so on. Everybody imagines they can undertake their own design work. While this is possible, very few can do it properly. You can get exceptionally talented designers on a website like eLance.com who can do all your artworks very cheaply. I had a whole PowerPoint deck done for a major presentation for only $35, and it was superbly done. I am a strong supporter of businesses engaging in social media forums such as Twitter and Facebook, but this takes time. Believe me, there is a college student in a marketing class out there that would jump at the chance to work part-time responding to articles and posts, finding people who are connected to link to, posting strategic items and so on. 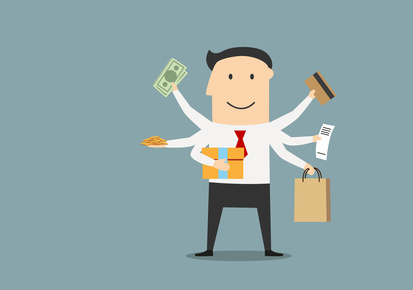 Do not allow the control freak in you to get in the way—outsource this important element. You have the power to make this year a year of growth and success. You can achieve your personal goals as well as grow your business to make it what you have always dreamed of. However, you should keep in mind the fact that your success depends on your mental attitude and the things you do. Try to dream big. Have a clear vision of what you want to achieve. Most people fail to achieve their goals because they are vague. Here are Issa Asad 3 steps to achieve your business dreams. Take your time to write down a detailed description of what you want to happen this year. This includes all the things that you need to make those things happen. Write as much details as possible. Engage all your senses when you are writing down this description. Write down all the changes that you expect. Write down all the things that you are going to do on a daily basis to ensure that you achieve your dream by the end of the year. Don’t forget to write down how much money you are going to make. Explain how you are going to use this money to accomplish your goals. Make sure that you are writing a description that will create a vivid picture in your mind every time you read it. You are probably hungry for success. However, you should not let your hunger prevent you from being humble. Accept the fact that you don’t know all the answers. You should be willing to learn from others, especially from those who have achieved what you want to achieve before. You will learn a lot when you seek mentoring from people who have already achieved what you want to achieve. Even if you have achieved some success, you need more knowledge to be able to move to the next level. You are not what you think you are – you are what you think. Our thoughts and emotions shape our reality. Ever since prehistoric times, only those of us who have been able to transcend conventional thinking have been able to change the world, or at least change their surroundings. “It’s in human nature to stick to the norms society has instilled into our fragile minds, but it doesn’t have to be that way,” said Issa Asad Florida businessman, entrepreneur, and CEO of Q Link Wireless and Quadrant Holdings. Mr. Asad is also the author of 4 social media marketing and e-commerce marketing e-books. Extraordinary thinking generates extraordinary things and all of this applies to business too. 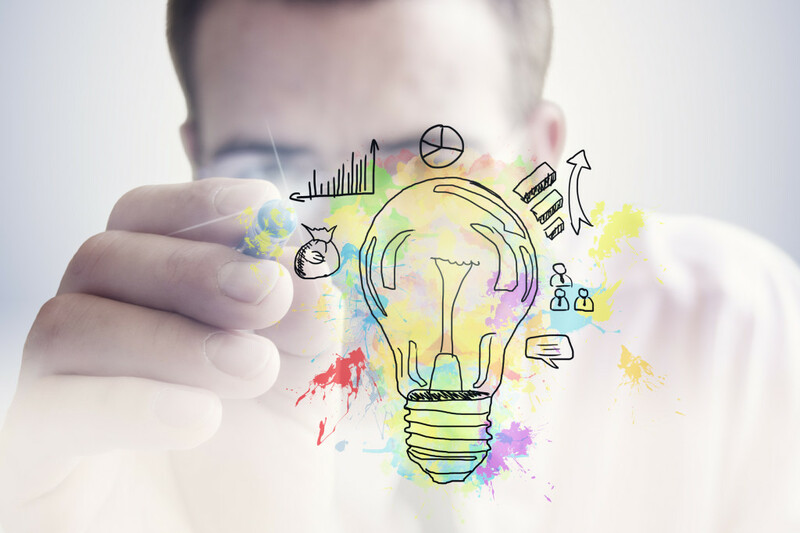 We present you with 4 tips for extraordinary business thinking. Focusing on the positive, reinforcing positive thinking and channeling positive energy is what makes all the difference. All exceptional thinkers know this. Every day, when we wake up, we choose what to focus on. If you focus on the negative, you will keep feeding that negativity, you will keep reinforcing it and that’s exactly the vicious cycle most businessmen fall in. On the other hand, those who choose to focus on the positive are able to effortlessly eliminate stress, anxiety, and fear of failure, all of which in return leads to success. Most people eat just to be able to get through the day and to turn off the feeling of hunger. What you consume is what makes up your brain chemistry. If you eat bad, sugary, unhealthy food your mind will become slow and clouded with meaningless short-term sensory satisfaction. Healthy food is something else. Think of it this way: In business we need to think ahead constantly, that’s why its incredibly important to preserve our health and make sure our minds operate optimally at all times. You don’t want your judgment to become clouded or your thoughts to be scattered all over the place – you want to be sharp, calm, and collected. Healthy food will help you get there. Solitude is underrated. We all lead hectic lives and we are all expected to be at a certain place in a certain time, to meet someone somewhere, to meet deadlines and, of course, to deal with people of all kinds constantly. Being alone allows you to think and reflect. This is another crucial concept when it comes to extraordinary business thinking. Reflecting on the past, realizing your mistakes and making plans for the future is what will enable your business to grow organically, because it will enable you to think of new ideas that wouldn’t otherwise come across your mind. The most successful people are the most humble, grounded, and grateful individuals you will ever meet. They have no time to be bitter. They don’t spend their energy on that and they most definitely don’t fall into the trap of feeling vain and superior. Instead, exceptional thinkers stay humble and grateful at all times, for what they have and what they’ve achieved. Humility is the biggest virtue of an exceptional thinker. Humility is what keeps people grounded, clear-minded and focused, therefore humility is what helps businesses grow, transform, and evolve continually. There have been innumerable successful entrepreneurs in the history of mankind. But for an entrepreneur to leave a mark so major that he is considered a milestone and source of inspiration to most aspiring talents in the field of business, there has to be an awe-inspiring story to back it up. Being successful is good, but being a trailblazer in the field of entrepreneurship is a whole new level of ball game altogether,” said Issa Asad Florida entrepreneur, author, and businessman since 1996. Mr. Asad is the CEO of Q Link Wireless and Quadrant Holdings, located in South Florida. Time and again we have witnessed such extraordinary innovators who have not only re-defined business by creating something amazing, but have also changed the way we think and live by setting an example of touching zenith. 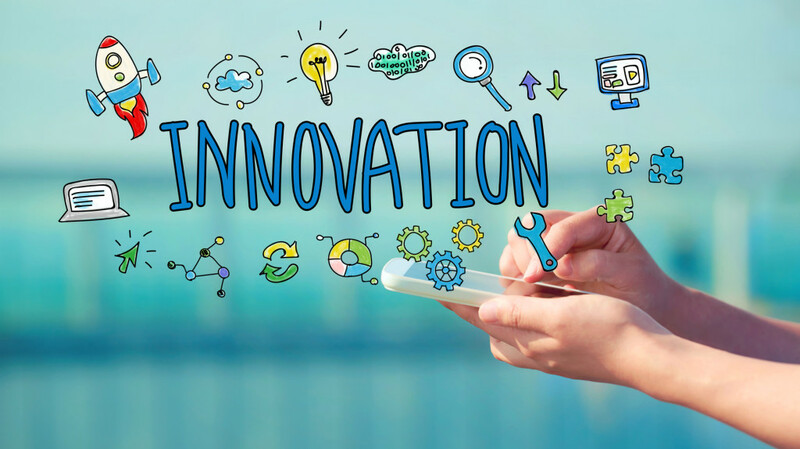 Let us learn a thing or two about these 3 innovative entrepreneurs who did something so immense that it literally changed the world. This is Issa Asad 3 innovative entrepreneurs that changed the world. Larry and Sergey first met in 1995 while doing their PhD in Stanford University and soon collaborated to form their own company Backrub which would eventually become one of the greatest success stories in the field of computers and internet – Google. This revolutionary concept changed the whole scenario of search engines which up until then usually utilized human-curated results. Google was launched publicly in 2004 and the rest as they say – is history! The tech duo eventually diversified the company which would launch Gmail, Google Glass, Google +, Google Maps etc. in the coming years. Having set immensely high standards, they eventually ventured into robotics, AI industry, life-science, self-driven cars etc. Recently, in 2015 Page and Brin co-founded Alphabet which will act as a parent company to various subsidiaries. Page serves as CEO while Brin serves as the president of Alphabet, which serves as a holding entity to their other landmark achievements, including Google. There was a time a few decades ago, when automobiles were considered a statement for the very rich and elite only. Born in Michigan, an engineer by profession, Henry Ford dreamt of changing that and after years of perseverance and relentless effort he found success. He wanted to build a car which was sturdy and reliable but would be of much lower cost and would cater to masses and not just classes. He worked for years planning a cost-efficient assembly line with minimum modification costs and much more efficient production. He brought about changes like conveyor belts and trained special units for each functions. By 1919, Ford was manufacturing more than half the cars running in US and bringing down the prices of cars to as low as $350, Henry Ford re-defined the middle class American dream. One of the world’s youngest billionaires, the CEO of Facebook, Mark Zuckerberg is a business mogul who has achieved more in a young age than most people can dream of in a lifetime. Being the co-founder of the most influential social media site was just the stepping stone in his career which has seen more achievements in a short span of time since Facebook went public in 2012. He has grown his company quietly aggressively in few years and has already spearheaded successfully a few famous acquisitions like Whatsapp, Masquerade, Instagram, Oculus-VR etc. A trailblazer of a kind, Mark Zuckerberg has come a long way from dropping out of Harvard in sophomore year to becoming one of the most influential names with a net worth of over 46 billion dollars. 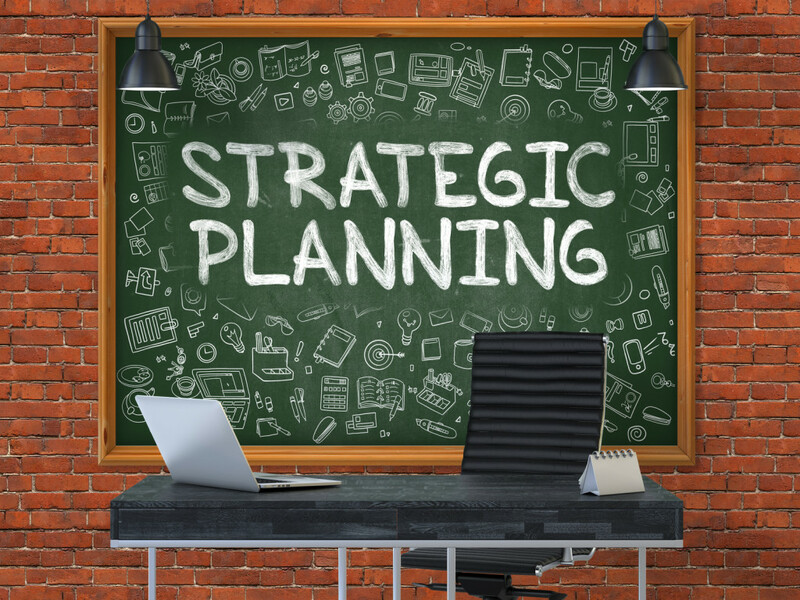 Business plans are critical when it comes to leading your company in the right direction. 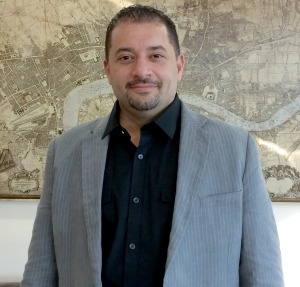 “Without a clear strategy, your startup might not develop to its full potential, and investors will not even consider funding it,” exclaimed Issa Asad Florida businessman and entrepreneur since 1996. Mr. Asad is currently the CEO of Q Link Wireless and Quadrant Holdings. “If you have already sensed that your company is not growing as much as it should, the reason could be that your business plan is terrible,” said Mr. Asad. If this is also your first entrepreneurial experience, this could explain why you do not know the right way to establish a strong one yet. Here are Issa Asad 5 explanations why your business plan is terrible. You cannot possibly satisfy everybody’s needs. It is important that you understand this so that you may find an audience to offer your services. Furthermore, to find your future clients means to study their preferences, see what they desire most, and only then to sell them your products. Did you do all of these before writing your business plan? If not, you should begin everything from scratch based on what you have just read. If your business plan is stuffed up with details about fundamental matters, it means that your reader will not get anything new out of it. Before you write down the strategy, you should know who that reader is, and what kind of information he needs to understand the purpose and the direction of your startup. You cannot expect your business to evolve if you are guilty of providing your customer with plenty of irrelevant information, instead of narrowing down to one market section. You have to be picky and choose only the most essential characteristics of that market as well. When it comes to financials, a lot of entrepreneurs have a hard time expressing their estimates. They feel overwhelmed by numbers and language. The best way to deal with this is by replacing the frequent use of numbers with simple words that describe easily what you want to convey to the reader. You may have followed the tips above, but if your business plan does not have a purpose, it will probably fail at some point. It is important that you state what you want to do with your startup in the future to achieve your goal by breaking it into multiple tasks that you and your team can accomplish gradually. Even if you have the best business plan in the world, it does not mean that it will stay like that. When you gain more experience, and your company grows, you may switch strategies to shape it after the changes on the market. But until then, you should make sure that your initial plan is well built to develop your business properly. As an entrepreneur, you should keep your day job until you start making good income from your own business. The transition phase can be very difficult and stressful, especially when you don’t enjoy your daily job. Ambition is what will make you take the step; however, it’s not enough. 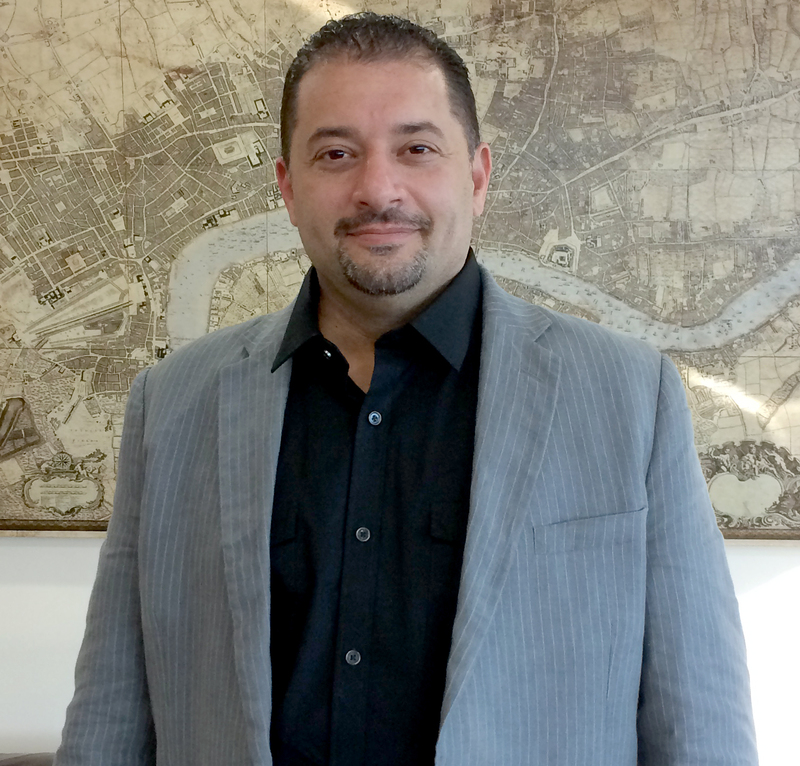 “Motivation plays a crucial role during your transition from being an employee to an entrepreneur, and getting discouraged during the transition phase is very easy,” said Issa Asad Florida entrepreneur, businessman, and CEO since 1996. 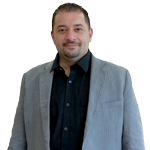 Mr. Asad is the CEO of Q Link Wireless and Quadrant Holdings located in South Florida. In this article, we’ll explain how to be an entrepreneur while having another job. Think about the things you need in your business a year from now and note them down. It’s very important you be very specific and detailed. Describe extensively in present tense your ideal day, the kinds of activities you do, who your potential clients are, the number of your potential clients, and what you earn on a monthly basis. Remember your vision daily and focus completely at the end result of your vibrant, flourishing business. If you keep your focus on the end result, you’ll be able to make the right decisions and ignore negative thoughts that may arise. Each day, acknowledge the things you appreciate about your day job. Perhaps, you enjoy the company of your co-workers, the coffee in the office, your luxurious chair, or having holidays off. Your main point should be noticing the good things because the more you focus on positive things about your day job, the more success you’ll bring to your own business. In life, negative thoughts will drain your energy, making it difficult to explore your dream. Scrutinizing negative things will demoralize you instead of motivating you. Therefore, focus on the positive things only. A mastermind group is a peer-to-peer team that meets regularly to advice and support each other, brainstorm ideas, and work through challenges as a team. Joining such kinds of groups can be an excellent idea for assisting you to stay on track, be accountable and motivated to achieve your business goals. There are mastermind groups that meet via phone, online, or in person. To find the best mastermind group that will meet your requirements, you can research on line. If you fail to get a mastermind group of your choice to join, go ahead and create your own with serious minded entrepreneurs who are also starting their own businesses. For sure, the group will be of great help to you. Take measurable action steps every day toward your own business. Understand there will be times when it will seem you’re making no progress at all, but it’s wise to be consistent. In the beginning, you’ll have to do much of the work, making your day tedious and hectic. Realize hard work is part of building a reputable business of your own. You will start seeing positive results if you maintain taking measurable action steps every day. The more progress you make, the more motivation, confidence, and determination you’ll have to keep moving forward. Virtually all business people have at some point encountered the entrepreneurial blues. In such a situation, your mind lags and motivation slumps down. While there is no hint of hunger, you feel tired and worn out. The inspiration or motivation that has been your driving force disappears suddenly. “You need to keep in mind that these are not signs of failure, rather simply a lack of inspiration,” explained Issa Asad Florida businessman and entrepreneur. Mr. Asad knows business; he is the CEO of 2 companies located across South Florida, including Q Link Wireless and Quadrant Holdings. It is fundamental to get over such entrepreneurial blues before they culminate into failure. The information below are Issa Asad 3 methods for quitting the entrepreneurial blues. More often than not, entrepreneurial blues are as a result of burnout. Such signs are an indication that your body and mind is in dire need of some break. Forcing your mind to think when it is extremely exhausted could result to a total blackout. Getting a break doesn’t necessarily mean sleeping for an entire day. You could take on your hobbies, take a vacation and give yourself time away from your business. It is advisable to try to avoid any activity directly linked to your business. A workable strategy is taking a 3-month long holiday or vacation far away from your company. Though this may initially seem odd, it would yield significant benefits to your well-being as well as your business. If you feel that three months is far too much time, it is vital for the break to last for a minimum of two weeks. You will come back more refreshed and inspired to take off from where you left. Entrepreneurship is all about taking risks. 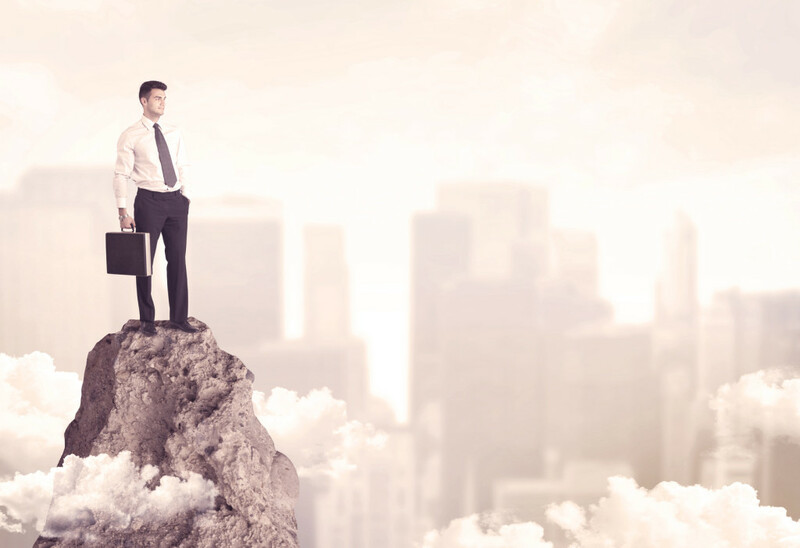 The willingness to take risks is one of the key motivating factors for most entrepreneurs. Making a radical move entails risk-taking. Most successful business people have confessed to have had the best moments when there was a major move involved. The fact that a risky move is involved can in itself serve as an inspiration or driving force. This inspiration is what eventually leads to success. Examples of risk that could help you quit the entrepreneurial blues include introducing a new product line, expanding your business to a new location, going public, employing a celebrity salesperson, firing an unproductive worker, and acquisition of a new business. Radical moves trigger radical internal inspiration, which could be what you need to get psyched up. 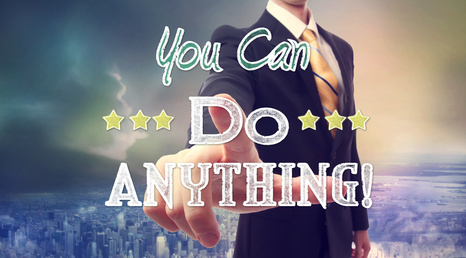 Identify your business successes of accomplishments by listing down everything that is working right. The greater majority of the entrepreneurs are uninspired when their business is not performing as well as expected. Competition, plateaus, risks, and losses are some of the things that might slump you down. Dwelling on the negative leads to a negative response. Focusing on your business accomplishments will make you grateful, which produces positive emotions. Giving thanks is a practice that has a high likelihood of improving your entrepreneurial skills. Some of the benefits of thankfulness include less pain and aches, lowered hypertension, increased pleasure and joy, and higher levels of happiness and optimism. Employing one of these 3 methods for quitting the entrepreneurial blues presented will help you regain the inspiration and motivation needed to succeed. A careful study of the dominant personalities of successful business moguls such as Bill Gates and Warren Buffet of Berkshire Hathaway reveals that thriving entrepreneurs do not make it by accident or out of sheer luck. Issa Asad Florida entrepreneur since 1996 agrees; he said that “while some personal attributes may positively influence your entrepreneurial venture, others will definitely work against it.” Mr. Asad is the CEO of 2 companies located across South Florida, including Q Link Wireless and Quadrant Holdings. As such, this article explores a few qualities that have a lot of negative impact on your business prospects. Continue reading to discover Issa Asad 3 personality traits that can make businesses fail. As an entrepreneur, you must accept the universal truth that nothing ever remains the same. Nothing is permanent except change itself. On most occasions, some entrepreneurs refuse to accept the fact that that no one single business can remain the same over the years. The fact you are leading in the industry does not mean that your investment will continue booming for endless eternities. Whereas it is mostly starters who sit on their laurels and expect their businesses to keep flourishing all the time, rejecting change has also crippled giant corporations. You must be ready for both good and bad times as an entrepreneur. Instead of acting stiff-necked to tell-tale that you should change your way of doing things, you should be always keen for the littlest indication that certain things need to be done differently. Changing according to the ever fluctuating factors that determine the success of your investment is the surest way to stay ahead of the pack. When your business is not doing well, you must not blame others for the worrying trend. Remember that the business is yours and can hardly be destroyed by anyone else without your contribution. As such, earn to bear full responsibility for every undesirable trend in your business. For instance, consider whether you made a major mistake by employing professionals who do not have what it takes to expertly manage your venture. Since the incompetent employees may be trying their best to run your business in the right manner but lack the capacity to, you ought to blame yourself for hiring poorly-skilled people. In the same vein, you must be able to accept whatever negative behaviors that may be decelerating the progress of your business, and work out how can change your way of doing things. Blaming others for your business failures will not revive it – it is akin to running away from yourself, which is utterly impossible. While businesses of the yesteryear could get away with dishonest shenanigans, things have changed with technological advancements. By acting insincere toward a single customer, word can spread by use of the internet until the whole world knows that the business in question is not trustable. While duplicity may yield momentary gratification, it is a cancerous destroyer of even the most stable chart-topping corporations. Deceit, as with many other vices, grows slowly in an individual until it becomes part of their core personality. You can never overcome dishonesty until you stop denying it and confront it head-on. The best way to cease being dishonest is by understanding that its ultimate consequences work against your reputation and that of your business. Once you fully realize that dishonesty invariably works against you, you will be able to say no to anything that is untruthful. When establishing a new business, there is no shortcut especially when it comes to the look and feel of your business. In fact, skimping on the graphic design of your business can be a costly in the future. That’s why it is very important to hire a professional graphic designer to design and customize the logo of your business. 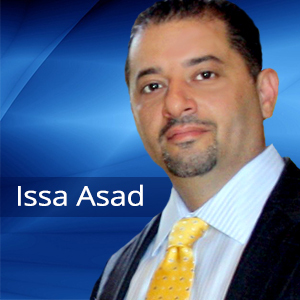 “A creative and professional graphic designer knows the best approaches of communicating your product/service to your customers,” said Issa Asad Florida entrepreneur and CEO of 2 companies located in South Florida (Q Link Wireless and Quadrant Holdings). Usually, these professionals will research to determine what your business completion does and will take the clients’ preferences into mind and come up with some creative solution to put your message across. Graphic designers will also develop the art/logo in the right software that can be easily printed by any ordinary printer. Here are 5 reasons why you should invest in a graphic designer. A professional graphic designer is able to determine the most cost effective ways of designing your business logo/art in a way that it minimizes your printing costs. Rather than creating your layout using MS Publisher – something that will cost you more to print – a designer would be capable of designing a perfect file in a graphic suite of software – something that can be easily printed using any printer out there. There is no need to spend a lot of time trying to come up with best designs for your PowerPoint templates, logo or brochures. Instead, hire an experienced designer to help you come up with the best solution for your design needs in the shortest time possible. If you try to mimic the work of a professional graphic designer on your own, you are likely to be inconsistent and make your business look and feel lose its edge. An expert will keep colors and fonts consistent and also ensure the overall feel and look of your logo consistently captures your brand. Simple and cheap template logo or any other business material especially those purchased cheaply online can’t help your business to stand out from the rest. If your brand logo/materials are amazing and stand out from your competitors, people will definitely remember your business at all times. You must have a distinct brand if you want your business to be on top of your competitors. Many business owners have idea of what they want, but they have no way of conveying them. A good graphic designer is capable of going through your list of preferences before coming up with any design. This is to ensure that the results you want will look based on your preference and more importantly will help you meet the set logo/art goals. Conclusively, it’s always a good thing to ensure your business is in the right track by creating a lasting impression with the perfect business logo and marketing materials. The only way to improve your business image is by hiring a professional graphic designer. A reliable designer will help you prioritize the most important items you need to get your company off the ground.